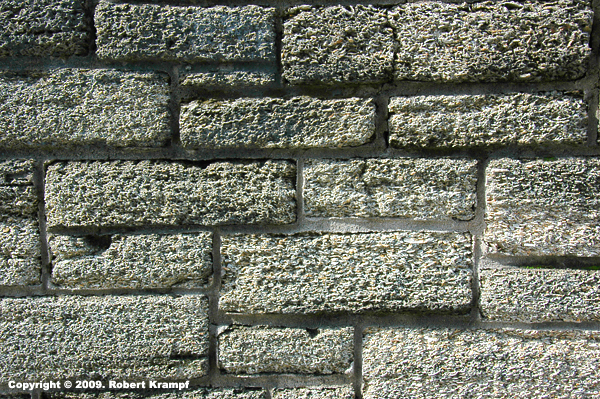 These building stones are made of a rock called coquina. The rock is almost entirely made up of pieces of fossil sea shells. What kind of rock is it? No. Igneous rocks formed from magma or lava. That would have melted and destroyed the fossil shells. This is not an igneous rock. Yes! Sedimentary rocks are deposited by wind, water, ice, or gravity, and they often contain fossils. These bits of shell were deposited by water, so coquina is a Sedimentary rock. No. Coquina has not been changed by heat and pressure from a different kind of rock, so it is not metamorphic. Coquina is not a rock. No. Coquina is a naturally occurring solid that forms large layers in the Earth. Coquina is a rock.